Examination, three types of neurological scans & X-rays for only $70! Available for the first seven people who call by Feb. 18th. Since 1981, I’ve been serving the Greater Bay Area (including people from Santa Rosa, Petaluma, Cotati, Sebastopol, even Clear Lake), getting sick people well and keeping the well from getting sick. I was honored by the World Chiropractic Alliance (WCA) in 2006 as “Chiropractor of the Year.” I’ve had articles published in the Chiropractic Journal, Journal of the California Chiropractic Association, OMNI magazine and the SF Chronicle. 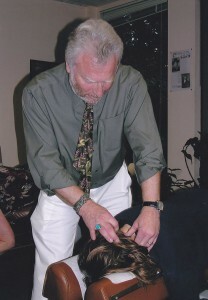 PS: People come to see me with things that you thought that Chiropractic had nothing to do with… arthritis, insomnia, vertigo, gastric reflux, diabetes, constipation, migraines, chronic fatigue, thyroid, circulation issues, urinary problems, etc. AND… they come to me with problems that allegedly require surgery… spondylolisthesis, stenosis, herniated disks, “bone-on-bone” hips and knees. I don’t treat or cure any of these, but people get better. Ask me how! PPS: If you work in Marin or San Francisco, or drive across the Richmond Bridge, no big deal to get here, right? Yes, I am open late! And if you don’t, if you have significant health problems, and have “been everywhere,” it’s time to come here and get well! AND, an extra $300 off of my already specially discounted plans for the first 3 Sonoma residents who call and qualify.